I spoke with my grandmother recently about celebrity sightings at The Cow. She remembers the celebrities but wishes my grandfather was here to answer as well. He remembered every politician that visited. 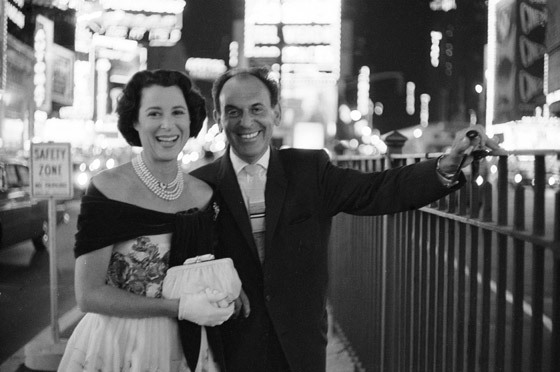 Kitty Carlisle of What’s My Line fame and husband Moss Hart visited once, probably in the 1950’s. Mr. Hart owned a farm in Bucks County until 1954. He and Ms. Carlisle met as actors at the Bucks County Playhouse in New Hope. While the men used the restroom, several of the waitresses started recognizing Ms. Day. My grandmother spoke to her and said, “Doris, take off your glasses so the girls can see you.” Ms. Day complied to the delight of the staff. Ms. Day had caramels shipped back to her home in California. In 1965, when I was travelling cross country, I saw a great opportunity to meet a celeb and took two buckets of caramels with me to deliver directly to her (Doris Day). When I hit LA, with her address, I searched for hours to find her home to no avail.We ate the caramels and missed our date with destiny. If you recall other celebrities — Hollywood or otherwise — leave a comment on this post.